The Yaesu FT 857D, was my buddy during several solo-dxpedition around the world. I operate a Yaesu FT 857D also during many SOTA holidays, climbing and trekking. I really think Yaesu FT 857D is the most versatile radio because this hamradio rig is ideal for vacation, camping, field day, living room table, dxpeditioning, IOTA operation, and dxing. The FT-857D is the world’s smallest HF/VHF/UHF mobile transceiver, and it is fully equipped with everything you need in you base station and is simply perfect for an ultra-compact package for pedestrian and mobile operation. The Yaesu FT 857D has also an external battery pack to work without the comfort of the electrical power. 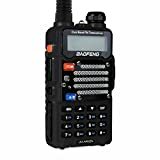 I consider it a Low Cost Radio because for less than 1000 $ you will operate on a wide frequency spectrum with outstanding receiving performance, and the convenience of optional remote-head operation. These features make the FT 857D the best choice for high-performance mobile/pedestrian operation. Period! The new FT-857D version includes coverage of the U.S. 5 MHz (60-meter band), plus the previously-optional DSP circuitry, at no additional cost! Many people don’t remember that Yaesu FT 857D was used in several best in class dxpedition. For example it was one of the radio used for BH7S. Performance of this tiny rig are incredible. This rig is very versatile and ready for several different challenge: Yaesu Ft 857D is a must for every operators. Transmits The Amateur Ham Radio Bands 160 thru 2 meters, plus 70cm UHF too! Built-In Digital signal processing, 200 memories, spectrum display, ctcss (PL). Includes microphone & power cable. Requires 12-13.8Vdc @ 22 Amps minimum for power. Requires Optional suitable antenna(s). N1CY is testing this amazing rig from his car. The Yaesu FT 857D is just 6.1” x 2” x 9.2” and it is really compact and light in fact the FT-857 is the world’s smallest HF/VHF/UHF 100W multimode RTX ever produced for amateur radio purposes! Of course, the reduced shape has an impact of the user experience. You have to learn how to handle it to have all the performance at your disposal. Low noise floor was the target the Yaesu engineers what to keep in mind developing this small rig. With an up-conversion architecture for HF with a first IF of 68.33 MHz, the Yaesu FT-857 has embedded a double-conversion superheterodyne system (triple conversion on FM), with the 2nd IF at 10.7 MHz. The Yaesu FT 857D is equipped with and set of excellent bandpass filters in the front end, along with a device selection and gain distribution. The RX is ready to manage also all the strong signals arriving from the big gus with several Kw. This tiny rig is able to manage them without problems. The Yaesu FT 857D will let you operate on HF, 50 MHz, 144 MHz, and 430 MHz Amateur bands. The Yaesu FT-857 receives also on 100 kHz to 56 MHz, 76 to 108 MHz, 118-164 MHz, and 420-470 MHz. Why I love this radio? Because I can operate almost every hamradio banc wile I’m make SWL on public safety services, along with weather networks, AM and FM broadcasts, aviation communications and many others. The Yaesu FT 857D offers up to 200 “Main” memory channels, each one of them you can name as you prefer with an Alpha-Numeric label of up to 8 characters. I suggest to buy the DSP for superior interference rejection and transmitter “talk power” for the Yaesu FT 857. The FT-857’s DSP Unit is produced with a 24-bit high-tech D/A chip for signal processing. Included are Auto-Notch, Bandpass Filter and Noise Reduction filters, along with a equalizer for the microphone. I worked 300 countries with this tiny radio. Today I’m going to fit it into a car using an ATLAS 125 as antenna but every time I’m going to prepare all the setting I leave it in the shack. I just love this small Yaesu FT 857D. VK6CS did an interesting video unboxing his brand new FT 857D. The second reason is that Amazon loves to delights the customers. Amazon is a store where the consumer is always treated with gloves: whatever happens to the goods you will always have a person on the other hand able to help you with professionalism and courtesy. Amazon will never abandon you in the midst of a problem and you will always find a solution if your Yaesu FT 857D is arrived damaged or if you made a mistake ordering something. Delivery is punctual, tracked and you can ship the Yaesu FT 857D at home, office or mail box. We do not know you, but we are always at work and we always are not at home to receive the goods. And what if things really go wrong? Should I find out that you bought the wrong radio or the wrong accessories for your Yaesu FT 857D? Amazon warrants free refund for any reason, within 30 days. You can return the Yaesu FT 857D you have mistakenly purchased without having to give any explanation. You will not have to justify it for any reason. 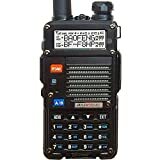 Finally, Amazon offers the free shipping: if you spend more than few dollars, and with the Yaesu FT 857D plus few accessories you will have zero problems. In fact you amateur radio surely costs more than this limit unless you just take one of those terrific deals you can not say no. But in that case, saving would be anyway. VR2ZXP did an impressive job sharing his DYI video about how to build a solid backpack for the Yaesu Ft 857D. Do you need the yaesu FT 857D operating manual? Click here to download the FT 857D Manual.